Did You Know That Sleep Apnea in Mt. Pleasant Can Affect Your Heart? Sleep apnea is a common problem that causes interrupted breathing during sleep, which leads to loud snoring and restless nights. 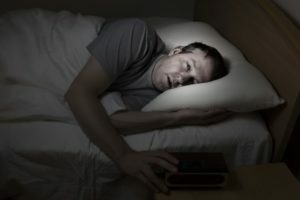 Sleep apnea can have a serious affect on your day-to-day life because it hijacks your much-needed time of rest, but recent studies have shown that it can also have an impact on the health of your heart. Keep reading to learn more about sleep apnea in Mt. Pleasant and how it can affect your cardiovascular health. Comments Off on Did You Know That Sleep Apnea in Mt. Pleasant Can Affect Your Heart? Is your smile ready for its close-up? The holidays are a time of year where everyone in your life wants a good picture. However, this can be a problem if you’re self-conscious about stains or discoloration in your grin. Thankfully, your dentist has the best kind of teeth whitening for a beautiful set of pearly whites. Read on to discover the benefits that whiter teeth in Mount Pleasant will bring you for the holiday season from an expert dentist. There are few dental procedures that are more misunderstood than the root canal. And with the (undeserved) bad reputation they have, it’s no surprise that so many people are filled with dread when they need one! But you’ll be relieved to know that root canals are nowhere near as unpleasant as you might think – not to mention that they save your natural teeth and ultimately maintain your oral health. 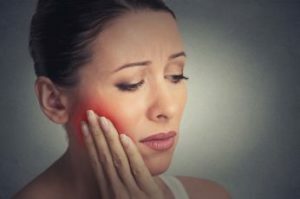 Keep reading below to learn why a root canal in Mount Pleasant might be necessary and why it’s a good idea to have an endodontist perform the procedure. Once you know the truth about root canals, they’ll feel a lot less scary! Can Botox in Mount Pleasant Relieve TMJ Symptoms? TMJ is short for temporomandibular joint, or more properly temporomandibular joint syndrome. It’s a condition that can cause pain and soreness in the patient’s jaw, teeth, head and neck. Modern medicine offers many options for treating TMJ, including Botox in Mount Pleasant. Comments Off on Can Botox in Mount Pleasant Relieve TMJ Symptoms? Obstructive sleep apnea is a disorder wherein the tissues at the back of the throat collapse at night, causing temporary pauses in breathing. It is a common condition that afflicts people of all ages, sizes, genders, and fitness levels. If left untreated, it can rob you of your quality of life and lead to long-term health problems. But since this disorder happens only when you’re not conscious, how can you know if you need to seek sleep apnea treatment in Mt. Pleasant? Here are some signs you should be on the lookout for. Even if the health of your smile is in good shape, there are always ways to give yourself an extra boost where you need it. 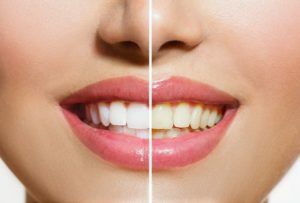 For example, one of the most popular treatments dental practices offer is teeth whitening, a fast and effective way to make your smile multiple shades whiter. Additionally, your dentist offers porcelain veneers, Invisalign clear aligners, and dental implants! All these treatments can make a big difference in your smile’s appearance and even functionality. To find out how, keep reading this post from your dentist in Mount Pleasant. Most people prefer the look of straight teeth, but did you know that straighter teeth offer more than just cosmetic improvements? Your everyday functions are also much easier, so you’ll have even more reason to smile by the time you finish treatment. 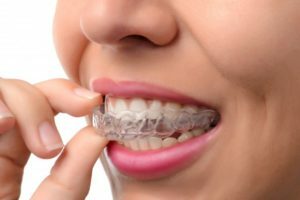 Thanks to Invisalign in Mount Pleasant, your teeth will be easier to clean and you’ll avoid other issues that typically accommodate misalignment. It’s just another reason why your dentist is promoting the treatment! To learn how Invisalign can improve your oral and overall health, keep reading. It can be difficult to take charge of your life when you don’t love the way you look. This is especially true when your smile is the reason you’re insecure. Do you have a gapped smile or misaligned teeth? Maybe you also have a missing tooth. If you have any or all those issues with your smile, there is light at the end of the tunnel! Thankfully, your dentist in Mount Pleasant can prepare a dental treatment plan to achieve a full smile makeover! Learn more in this week’s blog post. Why Does Your Dentist in Mount Pleasant Protect Enamel? Thanks to health professionals and dentists alike, there is more awareness about your teeth and how they actually work to protect you. When you do a bit of research, you’ll learn that there are layers that make up your teeth, the outermost being your protective layer of tooth enamel. Learn more about this critical part of your smile from your local dentist in Mount Pleasant in this week’s blog post! Comments Off on Why Does Your Dentist in Mount Pleasant Protect Enamel? 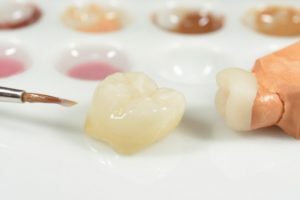 One of the most common procedures dentists practice for restoring and protecting teeth is through dental crowns. Approximately 2.3 million implant-supported crowns are made annually and even more go on top of existing teeth. If you don’t know what crowns are for or why they’re important, your dentist in Mount Pleasant is here to help. Don’t be afraid or feel disappointed if you need a dental crown in Mount Pleasant. Dentists provide them so your teeth can be protected. Keep reading to find out how crowns can save your smile.